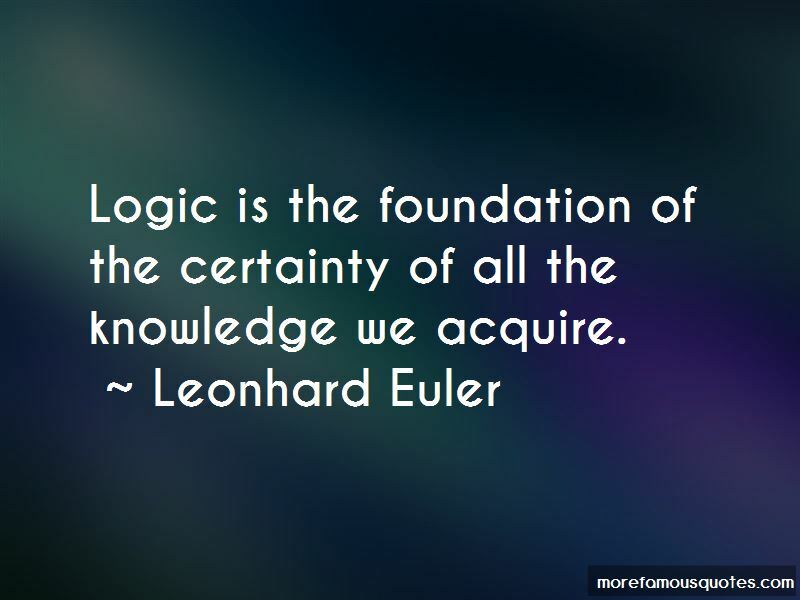 Enjoy the top 18 famous quotes, sayings and quotations by Leonhard Euler. 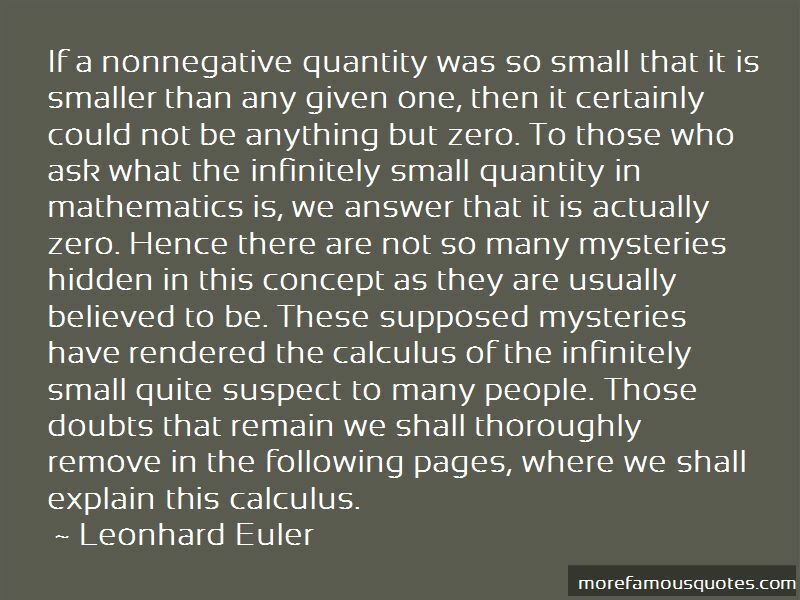 Madam, I have just come from a country where people are hanged if they talk. 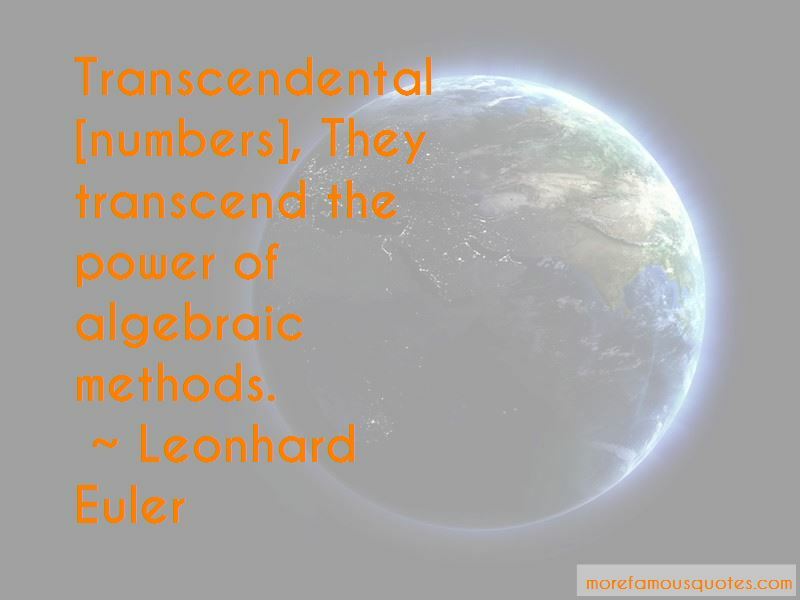 For the sake of brevity, we will always represent this number 2.718281828459 ... by the letter e.
Want to see more pictures of Leonhard Euler quotes? 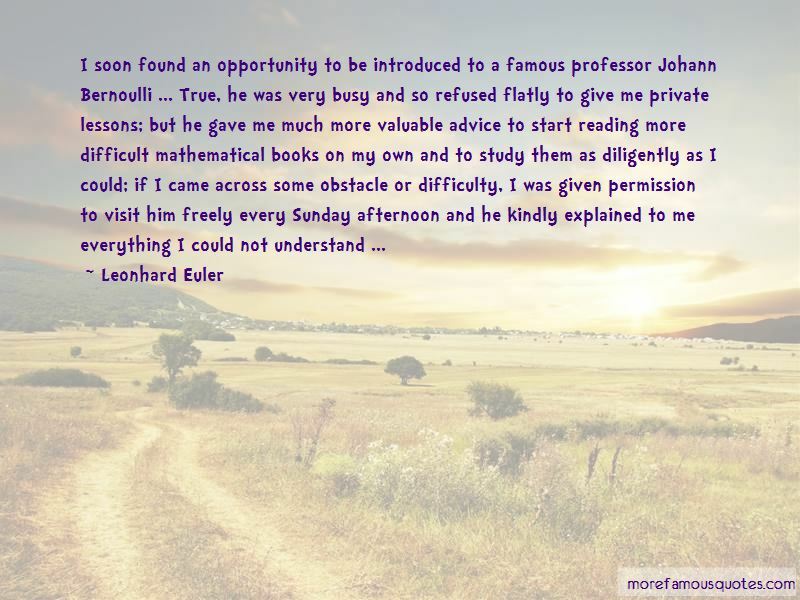 Click on image of Leonhard Euler quotes to view full size.